Observation - Teal - UK and Ireland. 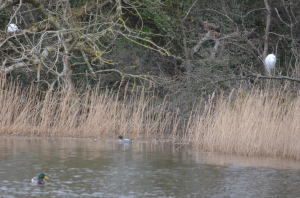 Description: Very poor distant shot of Teal with Mallard to the left and Little Egret perched on the right. Very poor distant shot of Teal with Mallard to the left and Little Egret perched on the right.